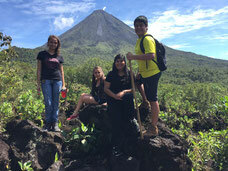 Arenal Volcano adventures: hike the trails and hanging bridges of Místico Park, get as close as possible to Arenal Volcano, touring trails through the lava flows of the volcano, have a delicious typical Costa Rican lunch at the Mi Casa Restaurant, and the wonderful experience of a Chocolate Tour; combine all these activities in a one day adventure to get the most out of your vacation time in Costa Rica and La Fortuna. One day excursion with super special discount pricing. The forest from a different perspective. The first part of this combo starts when our naturalist guide passes by your hotel in La Fortuna or the surrounding area and we travel to Místico Park and its 250 hectares of protected forest. 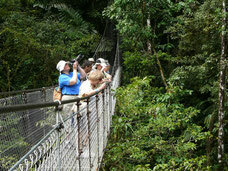 There you will hike along the trails and cross 16 different hanging and fixed bridges. Surrounded by nature we will hike for about two hours enjoying beautiful scenery, an impressive waterfall, and a score of colorful tropical birds. Arenal Volcano is one of the most well-known landmarks in all of Costa Rica, and thus we take you to hike the trails around the volcano. 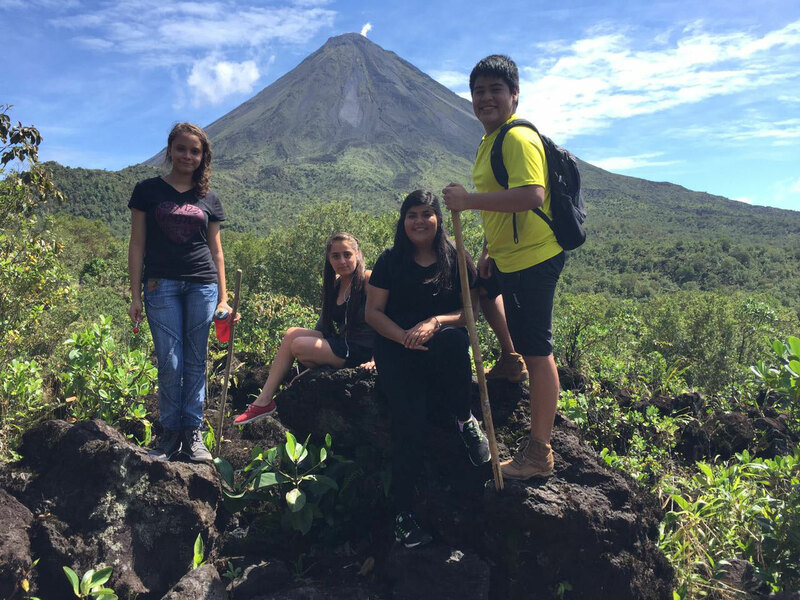 During the hike you’ll enjoy not only beautiful views of the volcano, but also a great quantity of plants, wild life, magnificent rock formations made by eruptions of years past, as well as Lake Arenal. During the tour the guide will teach you about the history of the volcano as well as the nature and plants that are found in Arenal Volcano National Park. Afterwards we will take you to the Mi Tierra Restaurant to enjoy a delicious lunch. Around 3:00 pm you will enjoy a two hour tour of the Don Olivo chocolate plantation, enjoying one of the sweetest experiences of your vacation. An expert guide knowledgeable in traditional cultivation methods will provide information and tell of the secrets to running a successful cacao plantation as well as the steps to go from plant to sweet chocolate that you can prepare yourself onsite. 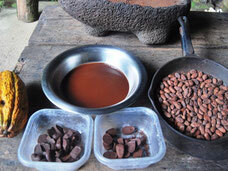 In addition to cacao, you will also see how to get juice from a sugar-cane plant and try the sweet juice from it as well. During the tour you’ll also be able to observe medicinal plants, orange trees, lime trees, mandarin trees, water apple trees, guava trees, and papaya trees among other species. After this we will take you back to your hotel.